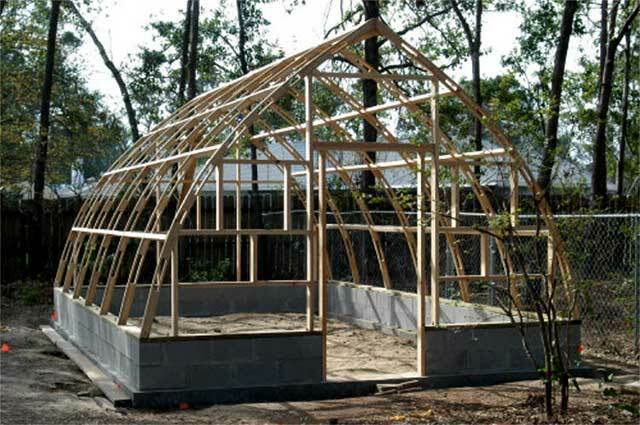 In 1977 I purchased a 14' x 20' Gothic Arch Greenhouse kit from you with corrugated fiberglass. It is now in its 25th year. This house has been so dependable and wonderful that I have almost come to take it for granted. For instance in the blizzard of 1978 it went 12 hours without power (and heat) with 70-mph winds and near zero temperatures (unbelievable wind chill). Amazingly the solar radiation kept the temperature above freezing (34° but no damage). Over the years windstorms have come through which threaten destruction but the house takes it all in its stride. I remember Mrs. Sierke telling me that if it blew off the foundation she would personally come up and help with replacement.